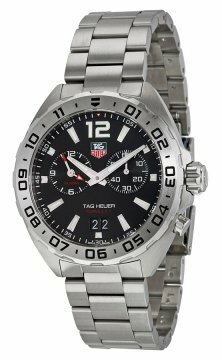 Buy this new Tag Heuer Formula 1 Alarm waz111a.ba0875 mens watch for the discount price of £935.00. UK Retailer. 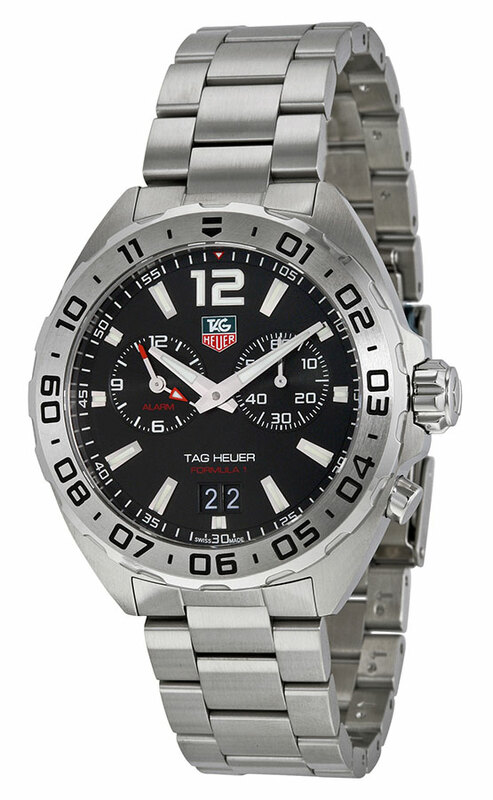 Brushed and polished steel bezel with black filled hour indications. Applied polished steel index hour markers with luminescent strip. Printed white minute track on a flange on the dial perimeter. 60-second sub-dial located at the 3 o'clock position. Alarm sub-dial located at the 9 o'clock position. Double date window located at the 6 o'clock position. Case back partially engraved with a checkerboard racing pattern. Quartz movement with an EOL (end of life) indicator.